I almost titled this post “mission: impossible (to find the perfect flannel shirt)”. 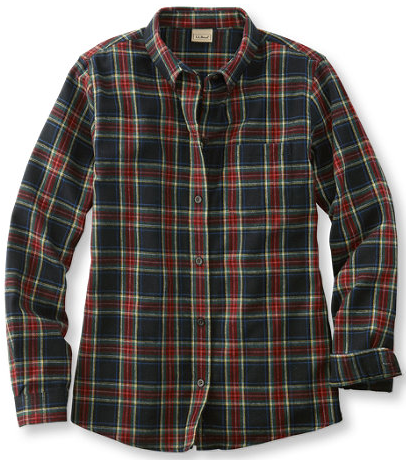 I’ve searched high and low for the flannel shirt – you know, the one that is comfy and cozy and looks and feels exactly like your guy’s flannel shirt except in your size. I tried this one from the Gap, and it wasn’t thick or cozy enough. If I were looking for a more fitted, dressier flannel option, it would be fine, but it’s not quite what I’m looking for right now. I tried this one from Old Navy, and I ended up being in between sizes – one size was too small in the bust and the next size up was too big everywhere but. I tried this one from J.Crew Factory, and while it fit quite well, I wasn’t in love with the color combination – I wanted a darker red and green combo. For try #4, I went with the shirt above from L.L. Bean. If there ever was a store that was synonymous with flannel, wouldn’t it be L.L. Bean? I really hope this one works out because that color combo is spot on. Tell me I’m not the only one on this wild goose chase. And if you’ve found your flannel soul mate, won’t you please share?